Are you kidding me ? - new in the box ?!?! The best part of that deal is the 2 brackets. 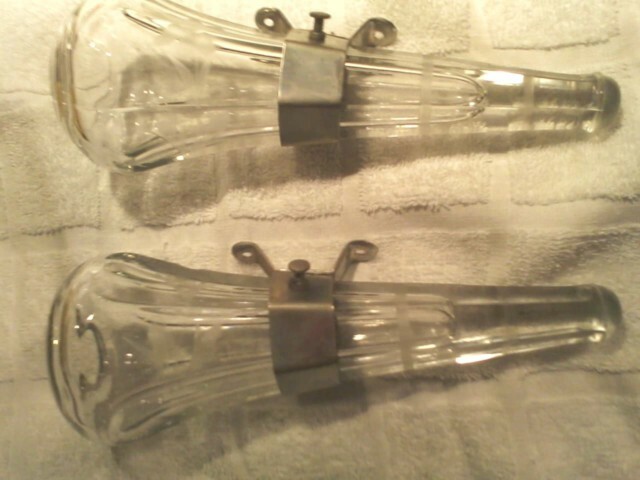 Individually the clear glass bud vases would be worth about $75 each in an antique store. 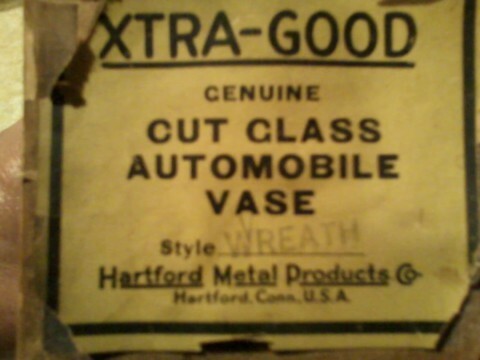 But if I were looking for a set of bud vases for my �19 center-door, which I�m not, I�d pay $250-$300 for those. I have a set like that and they came with the brackets. No chips or scratches but no box. I didn't pay much for them at an antique store. If I remember they were around $50 for the pair. Denny, you got a deal. All the ones I've seen for sale were priced to induce sticker shock. We picked up a pair plus brackets for $150 and they were a whole lot fancier than those. Going in our '20 center door. I bought a pair of the green ones for $80.00. They didn't have the brackets. They are plentiful at the swap meets and antique stores. thanks for all the input I'll pass it along. The vases appear to be hand engraved (Wheel Etched) If that is the case, matched pairs are quite sought after. The Pressed or cast examples are relatively common. You hit gold with this one Ben, and with the brackets and box yet.